This demo pack includes a selection of free WAV Samples from Kunundrum 3 by Perimeter Sound. Try it out and experience the quality of this new series yourself! ‘Kunundrum 3’ from Perimeter Sound is the latest in the series. It features more of the familiar beats, percussion, basslines, synths and FX you loved in the first two volumes. For producers of Jungle, Electro, Industrial and IDM. 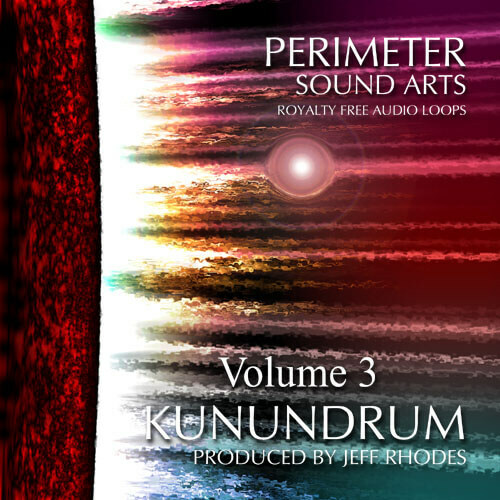 Perimeter Sound is proud to announce that ‘Kunundrum 3’ has been completed, and is ready to meet some new friends. While almost every aspect has been improved and updated, the original essence of the series remains intact. With more synthetic realism, and filtered/distorted flavors than ever before. After spending time to learn more new production tricks, styles and synths, making several series for Producer Loops, and working with Soundtrack Loops doing the Soundspice series he launched in 2012, Jeff Rhodes brings it all back to the table to round out the Kunundrum trilogy.